Condominium for rent near sm Manila at Suntrust Parkview. 12kMonthly Condo For Rent Amaia Avenida MAnila. For rent 2br bare unit near SM manila and Mapua. 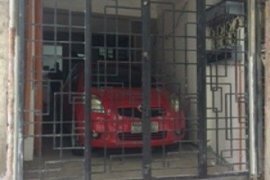 For rent 2br bare unit near sm manila. for Lease BINONDO OFFICE per floor (former Sunlife ). Studio unit for rent, One Archers Place, Taft Ave, Manila, Metro Manila. Green Residences One Bedroom For Rent. for rent studio unit in DLSU Taft 15k monthly The GrandTower. for rent or sale studio furnished crown tower university belt. 1 Bedroom Condo Staff House Malate Manila. Studio for Rent in Malate Manila near La Salle Taft St Benilde CSB Eddie Co.
Venice Luxury Residences 2-Bedroom for Lease. Fully furnished studio, One Archers Place, Taft Ave, Manila. Studio For Rent 8 Adriatico near UP Manila, PGH, Robinson. Suntrust Parkview near sm manila and manila city hall. Condo for Rent in Malate Manila near La Salle St Benilde LRT Vito Cruz Eddie Co. Affordable Condo for rent in Metro Manila and Malate. Condo near UP Manila, PGH, US Embassy, Robinson 8 Adriatico. Manila condominium for rent near SM Manila. Condo for rent in Metro Manila. Complete ameneties.Along taft.Near LRT, church, malls and schools like DLSU nad St. Scholastica College.Fully furnished already. Condo for rent in Manila. 264 sqm sqm Warehouse in Pandacan, Manila for rent. Hello, Please contact me, I am interested in properties for Rent in Manila. Best Regards. Dot Property Philippines is an online property portal where thousands of property searches happen every day. Start your search today for affordable property for rent in Manila from 667 available listings. Condominiums, houses, commercial space, and luxury properties are available for rent in Manila. Manila’s properties for rent are either listed by private home owners or property agents such as Michelle Madarang - Trusted Real Estate Broker, Gena Mahinay-Rilling and loreza 'dexra' asistio. The average asking price for property rentals in Manila is ₱ 36,327 for condos and ₱ 139,363 for commercials. Refine your search to help you find the perfect Manila property by price and number of bedrooms.